Our hand-picked combination of all heavenly goodness. Slow-cooked kidney beans and back-eyed peas give the tender texture. The water chestnut gems and pandan jelly add the refreshing crunchiness to please your teeth. Last but certainly not least, the mung bean puree mixes well with thickened coconut milk to hold everything together and make it a love potion. Watch out for subtle hints of other secret stuff lurking in the cup, too. 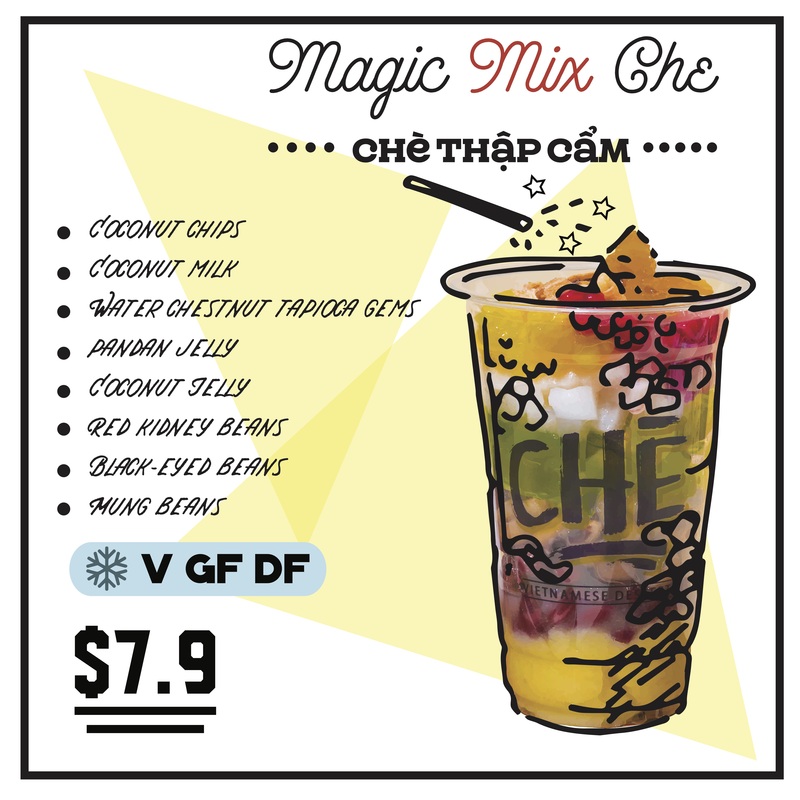 Enjoy this love potion with a bit of crushed ice to send chills down your spine, in a truly satisfactory fashion.